Easter - Almost too pretty to hide. 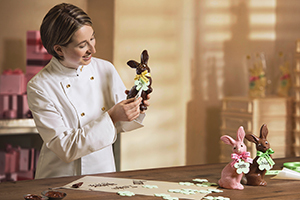 At Confiserie Sprüngli a colourful world awaits you filled with lovingly created Easter delicacies: Easter bunnies bursting with charm and flavour, filled Easter eggs and brightly coloured gift boxes from our in-house atelier all add up to a pleasurably indulgent Easter. 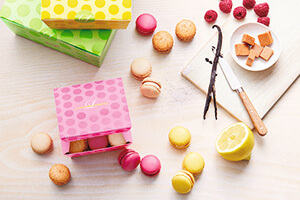 Let our new range of Easter gifts inspire you. 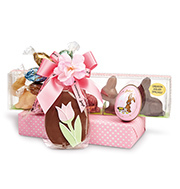 The charming Sprüngli bunny Nico is now available in finest white chocolate infused with fruity passion fruit, or in exquisite grand cru chocolate. Have your Nico bunny family members individualised with your own personal Easter greeting online. Luscious contents tied with a beautiful bow. 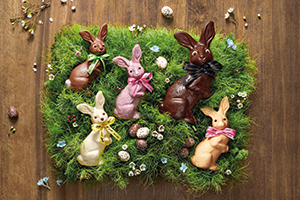 You’re sure to find the right Easter egg in our mouth-watering range. 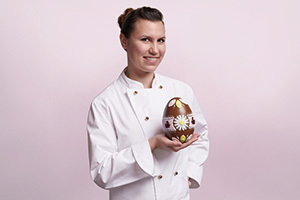 The Easter Luxemburgerli Advocaat with its deliciously creamy filling, enhanced with a superfine white chocolate wafer is now available in colourful gift boxes with an Easter theme. 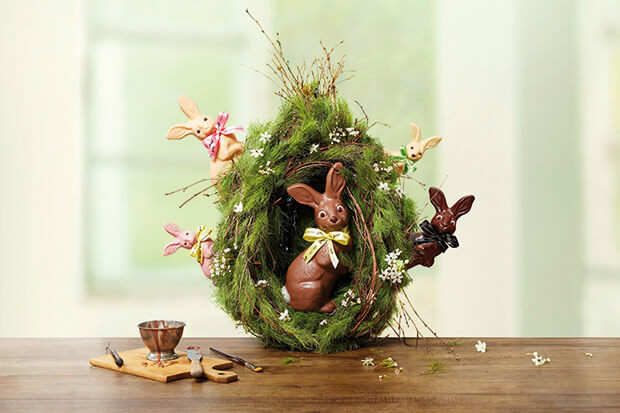 Pretty Easter nest filled with much-loved Sprüngli Easter specialities for delicious indulgence at Easter. 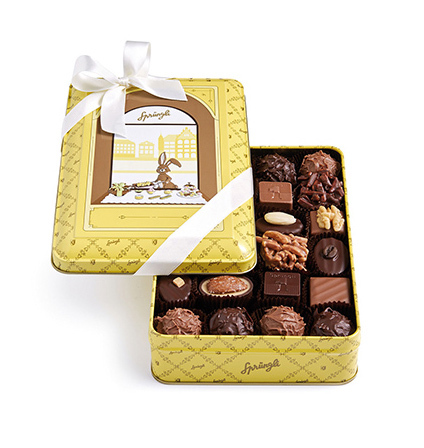 Charmingly designed Easter tin, filled with assorted Sprüngli pralines and truffles. 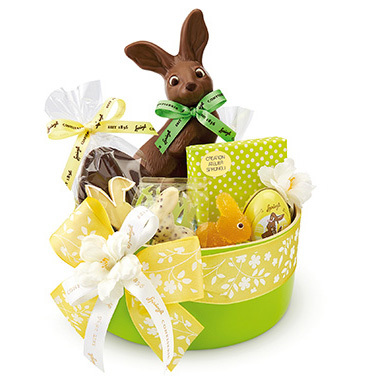 The lovingly wrapped arrangement brings together various delicious chocolate specialities for an exquisite surprise.